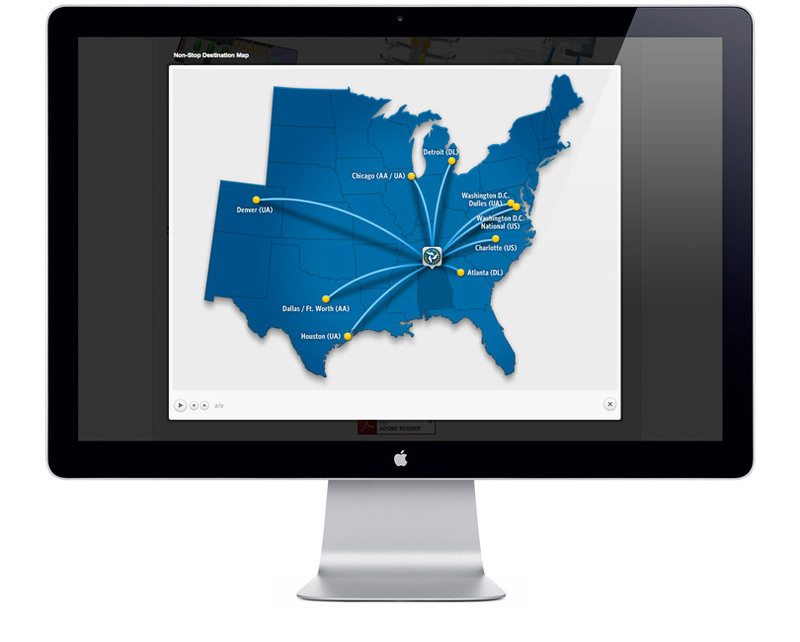 From helping conceptualize the overarching Port of Huntsville (POH) name and brand to the development and implementation of marketing elements for each of the three entities, the McComm Group has partnered with the POH marketing team and leadership for nearly 25 years to tell the multifaceted story that there is more than just an airport in Huntsville. Never being one to run from a challenge, the McComm Group solved the unusual dilemma of how to effectively combine nine web sites in one. 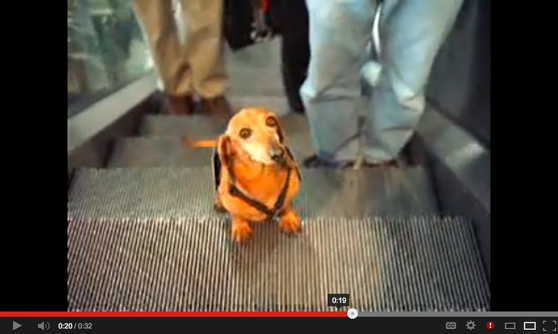 Everyone knows that in the realm of the Internet, one size does not necessarily fit all. 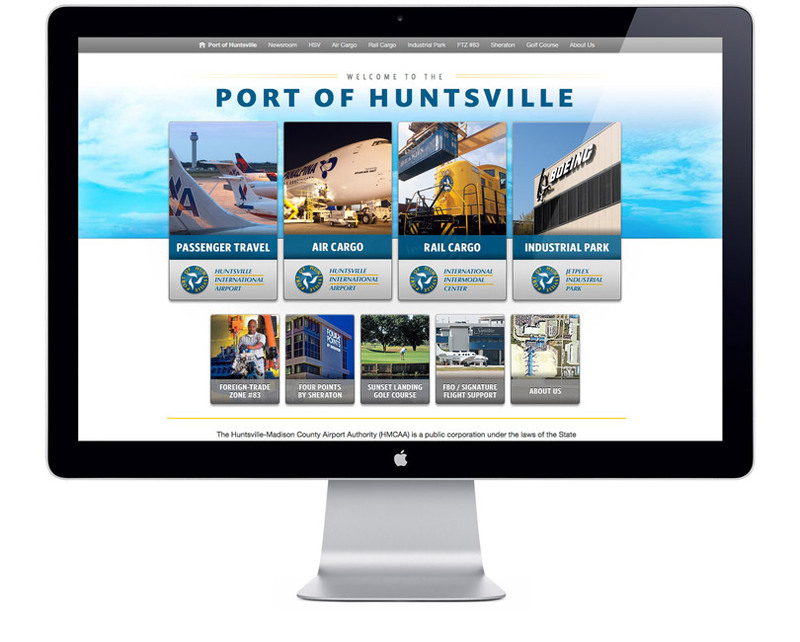 After 24 years of offering marketing service to this fast-moving and growing organization, we know the Port of Huntsville has unique messages to tell to very different audiences – including passengers, B2B rail and air cargo, as well as site selection professionals. 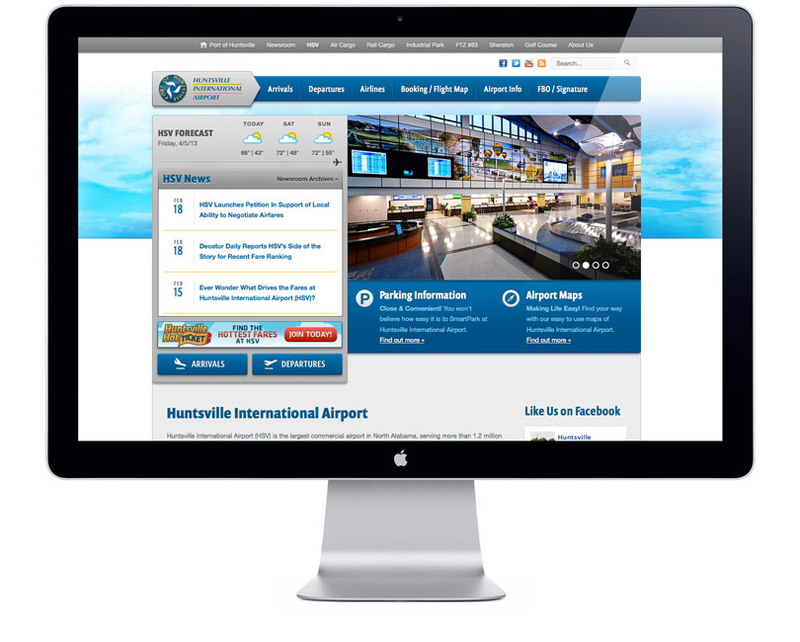 The result: portal access to send specific visitors directly to their area of interest on flyhuntsville.com was just the ticket. 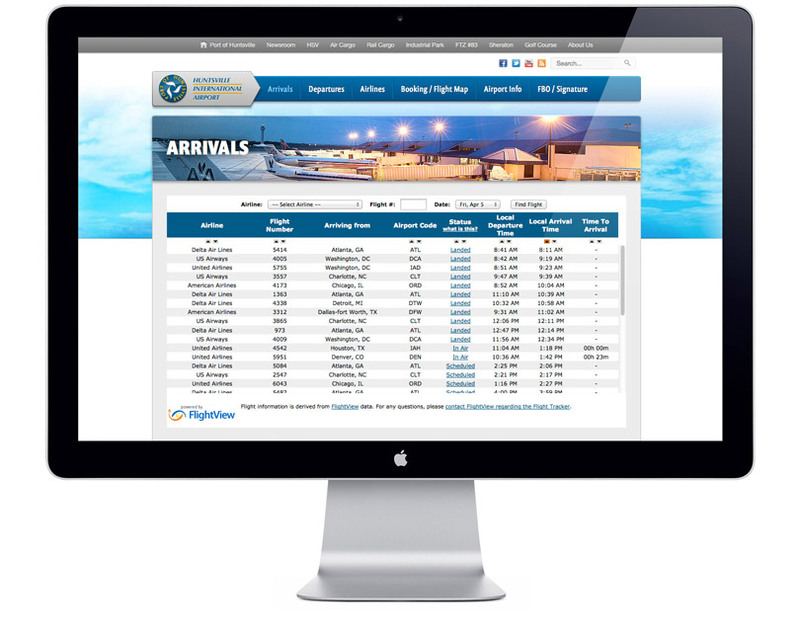 This content managed site allows our client’s in-house marketing team and administrative staff to keep the content up-to-date with news items, job openings and bid opportunities as well as any weather-related alerts that might impact travel. Slideshows on the landing pages for each entity provide the client with dynamic real estate for showcasing the latest photos or marketing messages. A smart development plan incorporates behind-the-scenes features to ensure the client only has to enter content in one place, even when shared across multiple sections of the site. 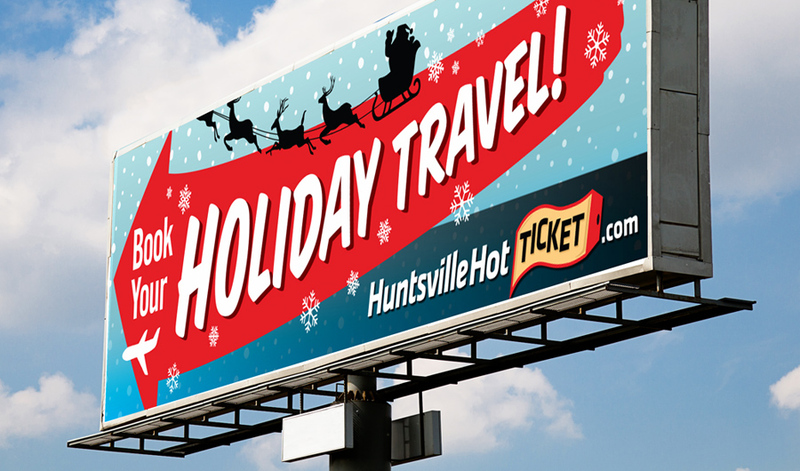 With a nod to Irving and Andy, we reminded fliers to Book Your Holiday from HSV. 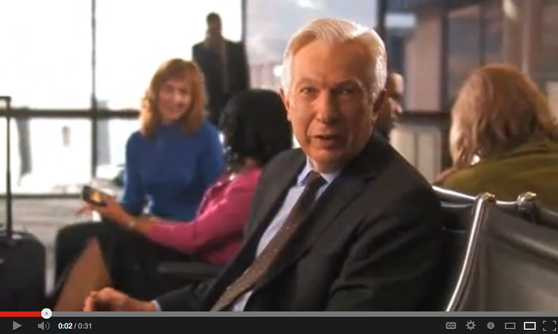 Check out the jolly ADDY-award-winning radio spot that is sure to be a Huntsville classic. A frequent flier himself, St. Nick picked up the tune on billboards, online ads, and social media. To cap it all off, HSV helped area weather teams track Santa’s flight on Christmas Eve. Time Flies When You are Late for Your Flight! We venture you’d have better odds in a game of pin-the-tail-on-the-donkey than you would have if you’re expecting smooth sailing with a flight from an out-of-town airport. 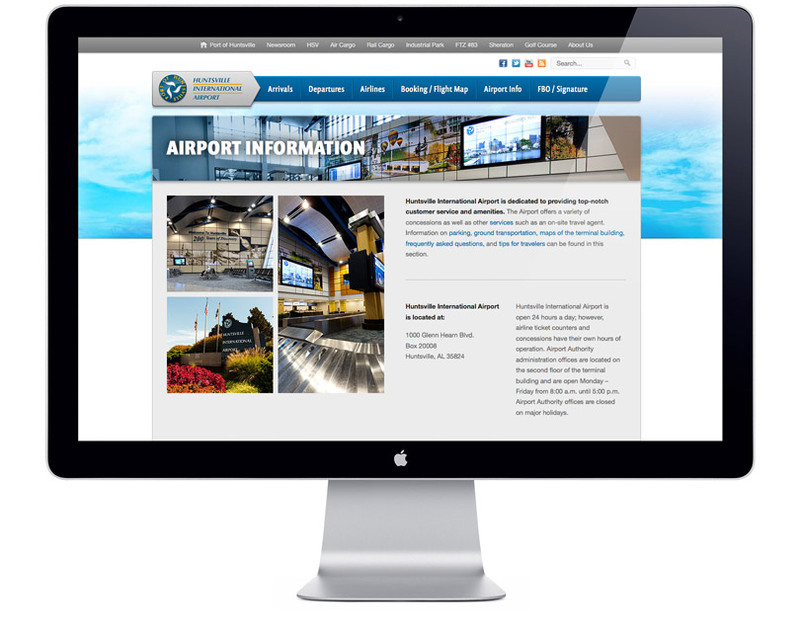 How does Huntsville International Airport compare to Brand X Airport? We’re glad you asked! The integrated Fly Smart. Fly Huntsville. 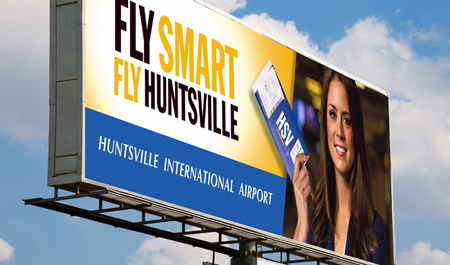 media campaign for HSV incorporated TV, digital and static billboards, online ads, Facebook information graphics, keyword ads, email and web graphics, as well as print elements to tell the story. 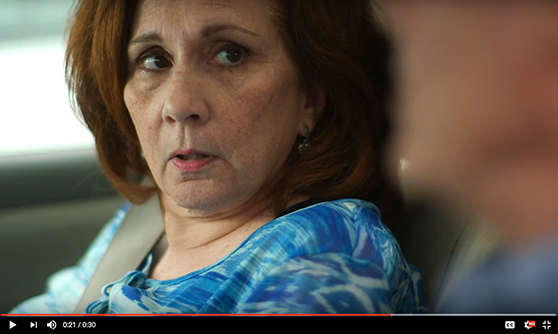 In this :30 second TV spot by McComm Group, we take a look at the experiences of two very different travelers. 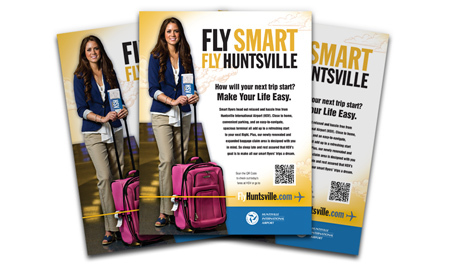 Our smart flyer heads out relaxed and hassle free by showing you that HSV is close to home, has convenient parking, and offers an easy-to-navigate spacious terminal. 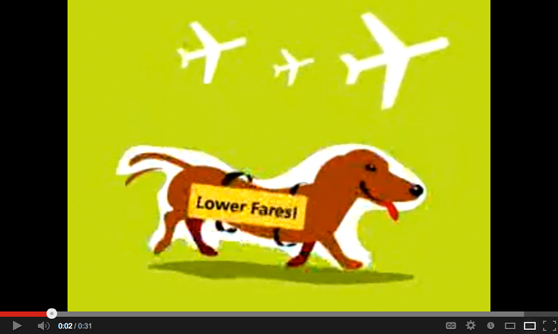 So sleep late and rest assured that HSV’s goal is to make all their smart flyers’ trips a dream. 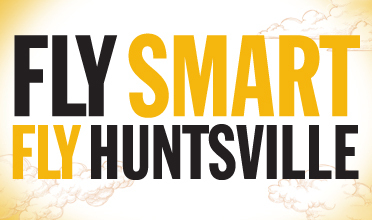 Fly Smart – Fly Huntsville! 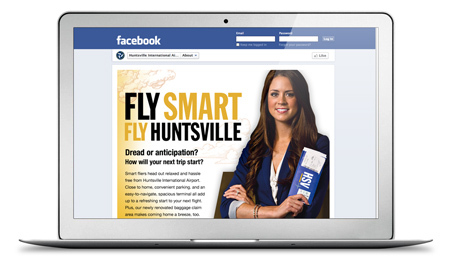 Check out our YouTube channel for samples of past campaigns created for HSV.